The compelling and sometimes frightening stories of 30 deadly diseases - and of humanity's efforts to combat them. Lifestyle diseases. Scurvy ; Kuru & CJD ; Cancer ; Heart disease. 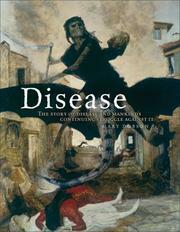 Add tags for "Disease : the extraordinary stories behind history's deadliest killers". Be the first. Discoveries in science -- History.